Court • Counsel seeks more time to go through evidence. 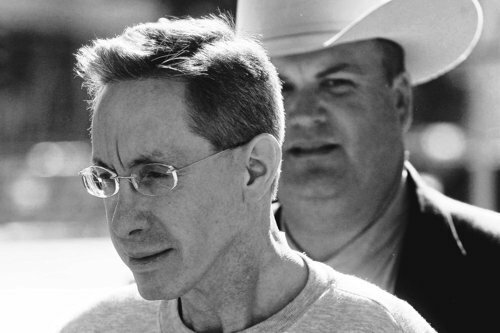 A Texas judge on Monday pushed back sexual assault trial dates for polygamous sect leader Warren S. Jeffs after his new attorney sought more time to go through what he called an "awesome" amount of evidence. High-profile Fort Worth attorney Jeff Kearney asked for more time to get ready for Jeffs' trial, which had been scheduled to begin in late February. "I've had things described to me that make me think this is an awesome task," he said. Fifty-first District Judge Barbara Walther postponed Jeffs' trial on sexual assault of a child and aggravated sexual assault charges back until July 25, and rescheduled Jeffs' bigamy trial for Oct. 3. Jeffs' next pretrial hearing is set for late March. The charges against the 55-year-old ecclesiastical leader of the Fundamentalist Church of Jesus Christ of Latter Day Saints relate to two alleged spiritual marriages to underage girls. The evidence includes thousands of pages taken from the Yearning for Zion ranch during a weeklong raid in April 2008. On Monday, prosecutor Eric Nichols added digital discs of Child Protective Services case reports. Kearney has represented a former Texas state representative who pleaded guilty in a corruption case last year, and a woman who struck a homeless man with her car in 2001 then left him to die in her garage.